Dogs are loyal companions who have been humans’ best friends for centuries. But above their companionship, they have unique abilities that are valued when assisting human beings in their work, making them key assets in various professional security roles, from general security and gard dogs through to highly trained search or protection dogs. Thus, contrary to human beings who perceive life predominantly through sight, dogs rely on their sense of smell to interpret their environment. Their smell is 40x greater than that of humans, smelling objects as far as 1000 meters away. Beyond their smell, they also have better hearing. These aptitudes prove to be particularly useful in security and defence. 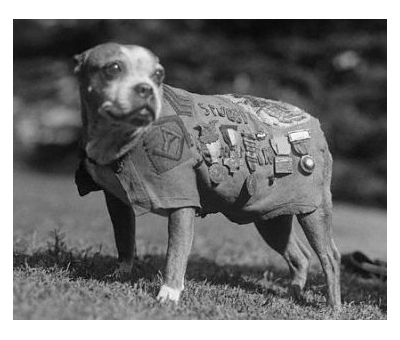 There are many great stories about dogs at war, including the story of Stubby. During World War One, Sergeant Stubby, a Boston Terrier served as part of the American Infantry and was acclaimed for saving the life of soldiers in the trenches, warning them against mustard gas attacks and catching a German enemy who was mapping the Allied Trenches, holding him captive until American soldiers found him. Stubby is a War hero who demonstrated that his canine counterparts are resourceful assets for defence. Therefore, it is no surprise that both the Police and the Army call upon the use of our four-legged friends, often referred to as K9 dogs, for support. Alongside law enforcement, dogs are also employed by UK Customs Forces and the private security sector. A dog handler and a dog must work together as a team to prevent crimes, so a strong bond between the pair is vital for efficiency. The various roles that dogs hold in security are plentiful. Here is an overview of the diverse types of security dogs that exist. Patrol dogs are responsible for guarding premises and large open spaces to secure perimeters against intruders. As part of their job, they are also trained to protect their handler, barking at intruders that they locate and apprehending them. Commonly, most dog handlers opt for German Shepherds and Belgian Malinois for patrolling, as they are both obedient and naturally protective and fearless. Dobermans and Rottweilers make also efficient patrol dogs as they are alert and intelligent. When training, patrol dogs take part in obedience classes to ensure that they follow the general orders of their handler, such as sitting down, turning left or right, coming back when they are recalled and remaining still; ensuring that they are docile when on duty. They will also have to take agility classes to overcome obstacles such as walls, when pursuing a criminal. On a theorical level, the handler must demonstrate their knowledge about the law surrounding the use of security dogs and show that they know how to care for their dog. On completion of the course, a private patrol dog handler is awarded a Level 2 General Purpose Security certificate. Sniffer dogs employs their senses to search and detect illegal substances such as narcotics, explosives or firearms on individuals, in cars, in open spaces or in a building. Their training consists in associating the smell of their toy with a drug. When they sniff the substance, they’ve been trained to find, they must alert their handler using one of two methods. When it comes to a narcotic, they can make an aggressive alert, consisting in scratching or digging the ground to find it. On the contrary, if they are looking for an explosive because of the risk involved, they are trained to make a passive alert, sitting down on the spot where they located the explosive to warn their handler. In the police, detector dogs must undergo 12-weeks of intensive training with their handler to be fit for purpose. Police dogs can also search for missing persons or corpses. Similarly and to achieve the same degree of performance, private dog handlers and their dog will have to undertake 100 guided learning hours to be awarded a level 3 certificate for drug detection. Detection dog handlers need to have a good understanding of animal welfare and the legislation that covers drug trade. To support detector dog handlers in their task, Springer Spaniels and Labrador Retrievers make exceptional detector dogs because of their fine nose to detect narcotics, arms and explosives. Attack dogs assist both the police and military forces in their operations and are responsible for protecting their handler against an assailant. They will attack on command to subdue a target without inflicting injury. Like other security dogs, they take part in obedience and endurance classes prior to attack training, to ensure that they respond well to basic orders and are physically fit for the task at hand. The second stage of their training will focus on their future duty with the attack of a target. This process will involve two participants: their master and an agitator who will act as the target and will tease the dog in order to bring out their inbred aggression and teach him how to channel it. The target wears protective clothing to prevent any injuries. In the first instance, the trainer will only command the dog to chase the target. If efficient, the dog will enrol the final stage of his training, which consists in biting the target when ordered to do so and stopping on command of their trainer. As they will often operate in harsh conditions, attack dogs must be tolerant to the sound of gunshots and crowed environments. Sometimes having a bodyguard living with you at your home 24/7 with your family can be invasive. For this reason, more and more people prefer opting for a security dog who can not only protect them against burglars or attackers but can join the family as a new loving member. Dogs are an effective deterrent method to keep you and your family safe. Executive protection dogs are highly trained before they are adopted, they are obedient and sociable family companions, making them perfectly safe to live with children. They are well-versed and will bark and attack only when commended to do so. Contrary to an alarm or CCTV systems, dogs have got small chance to be bypassed by home intruders and are also taught to disarm someone with a knife or a gun. On the other hand, High-Net-Worth individuals will often have security guards working alongside security dogs as part of their own residential security teams or to follow them when travelling, whether they are on a private jet or yacht. Various breeds are suited to work as a “canine bodyguard” (like some clients like to call them), but once again a lot of people have a preference for German Shepherds who are protective towards their owner by nature. If you are considering using a security dog to protect you, your home or to secure premises or an event, you must take in to account various elements and should ensure that your provider meet certain requirements. Surprisingly, in the UK there is not yet a legal requirement for a dog handler and their dog to be licenced, a dog handler just need to hold a standard SIA card. This causes some concern, as anyone who has an SIA badge can potentially go and work with their pet dog as a dog handler. But without proper training, a dog can be dangerous to the public as their behaviour is unpredictable. Fortunately, to avoid putting people’s safety at risk and make an informed decision, there are various standards that exist that indicate the level of competency of both a dog handler and the security company they work for. Firstly, you should check that all dog handlers have completed a course and hold a qualification with a reputable training centre such as NASDU (the National Association of Security Dog Users), who is recognised by the SIA. As part of their continuation training, they should also take part with their dog in a refresher course on a monthly basis to prevent skill fade and to keep their certification valid. Conversely, a reliable security dog provider should have NASDU Company status which guarantees that they are compliant with British Standard Codes of Practice for the use of General Purpose Security Dogs or Detection Dogs and demonstrate their level of professionalism. Most security dog companies that are compliant also have SIA Approved Contractor Status. At Intelligent Protection International Limited, we can provide security dogs to supplement our Executive Protection Services and Residential Security Teams through our partnership with an accredited provider for security dogs. Call us now if you require more information about this service.